Domestic Divas Blog: The Diva & The A-Girl Check Out Osteria Mozza! As many of you divas may recall, the last time I dined at Osteria Mozza, I was taken by the food, but not so much by the front of the house. I was forced to wait almost an hour for a reservation I'd made a month in advance. So while I thought the food and wine service were impeccable, my experience with the reservation process left a bad taste in my mouth. I couldn't help but recall one of my favorite Seinfeld episodes where Jerry goes up to the car rental desk only to be told they don't have the car he reserved. Every Monday through Wednesday Osteria Mozza is offering a special three-course menu exclusively at our "Amaro Bar." Choose one item from Nancy's Mozzarella Bar (or share the Mozzarella Tasting for two), one Pasta, a Dessert and a glass of either Bastianich Friulano or La Mozza Morellino di Scansano for $35 (plus tax and service). No reservations are necessary; the seats at the bar are available on a first come first served basis so walk on in! That sounded like too good of a deal to pass up! I arrived to find the A-Girl already seated at the Mozzarella Bar, looking all sassed up. I joined her, and when our server ventured over, I mentioned we were here for the bar special advertised on their website. Her face fell and she promptly informed us that the bar special was only being served at the small bar, not the main mozzarella bar. Oh, silly us, to confuse the bars, though there's no mention of this policy on their website! Banished away from the mozzarella, we shamefacedly scurried over to the other bar. Leave it to Mozza to make you feel like a second class citizen even when you bypassed the reservation process altogether. We took out seats, ooh'd and ahh'd over the menu, and chose our included glasses of wine. The A-Girl chose the red wine while I requested the white wine (see, due to the excessive heat wave, I've been craving more whites). It was light, fruity and refreshing. Then we placed our food orders. For the mozzarella course, I chose the Bufala mozzarella with prosciutto di San Daniele ($16) and the A-Girl went with the Burrata with grilled asparagus, brown butter, guanciale & Sicilian almonds ($16). Both dishes were ferosh! 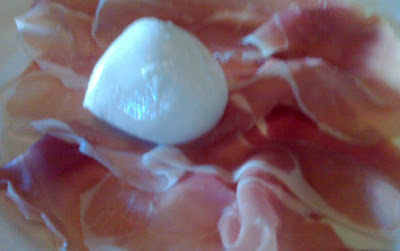 The mozzarella was so fresh and melted in your mouth, and when eaten with the prosciutto, it was heaven in a bite. The Burrata with the guanciale was decadent and rich, the fat from the pork jowls melting into the roasted asparagus. After chowing down, I remember why I came back here despite the challenges I've mentioned. For our pasta courses, we each went the stuffed noodle route. I ordered the Tortellini e brodo ($18), a dish straight out of the Babbo cookbook that I plan to make at home so stay tuned! 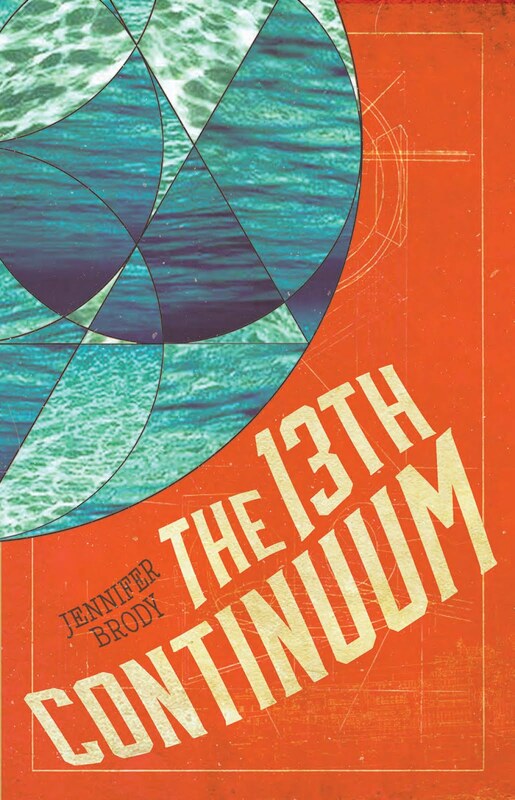 The dish is presented with the tortellini in the bowl and then your server pours the chicken broth over it table side, and shaves some Parmesan on top. It was as good as I remembered and I can't wait to make it for myself! 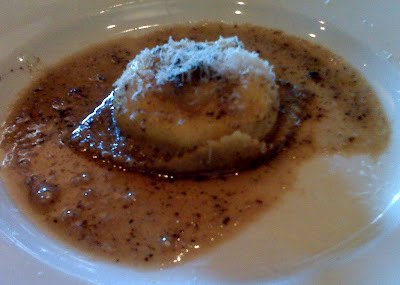 Meanwhile, the A-Girl was full on food orgasming to her dish, the Fresh Ricotta & Egg Raviolo with browned butter ($18). The pasta actually is one giant Raviolo, and when you cut into it, out oozes ricotta and egg yolk, all running together on the plate, mixing with the browned butter. Finally, we came to the end, and our desserts arrived. 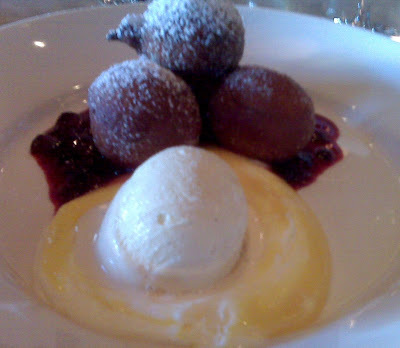 My dish was the Bombolini with mountain huckleberry compote & vanilla gelato ($12), Italian donuts shaped like small balls. You can't go wrong with donuts, right? 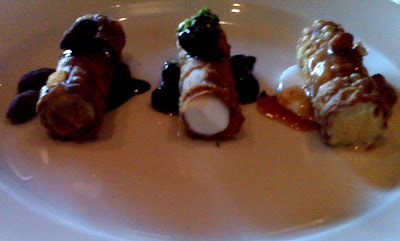 And the A-Girl feasted on Tre Agrumi Ghiacciati ($13), three different cannolis stuffed with vanilla, chocolate and espresso cream. After adding another glass of wine, we polished off our desserts and were decidedly stuffed. As we settled up our reasonable bill, we both agreed at the Bar Amaro special was an excellent deal and that we'd be back again for more! I highly recommend checking out Osteria Mozza, especially while they're running this special. Just don't try to sit at the mozzarella bar! As a bonus, I checked out the new Mozza 2 Go next door and picked up a pizza to bring home for Kuzak, who was busy working away! While it's convenient, I'm still not in love with their pizzas. Call me crazy, but I prefer Pace or Vito's, or especially Picco's in Larkspur (my Top Chef brother's restaurant), but that's one hell of a commute! The Los Angeles restaurant founded by Nancy Silverton (La Brea Bakery) and Mario Batali. The Osteria is the more formal dining restaurant located next door to their more casual pizzeria. The new addition to the Mozza empire, Mozza 2 Go allows you to order pizzas and other menu items from the Pizzeria to go. One of my favorite places to pick up a slice, they specialize in New York style pizza. Try the vegetable and ricotta pizza. It's to die for! 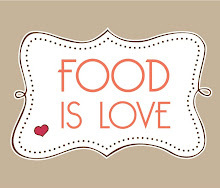 A fabulous restaurnat located in Laurel Canyon, they also happen to deliver to my house! I love their homemade sausage and fennel pizza (and prefer it to Mozza's). Mario Batali was quoted in Gourmet magazine saying that Pizzeria Picco has the best pizza in the country, and I have to agree with him! If you're ever in the Bay area, check out my Top Chef brother's restaurant. As a bonus, they also serve the best soft serve ice cream on the planet. Try it with olive oil and sea salt!